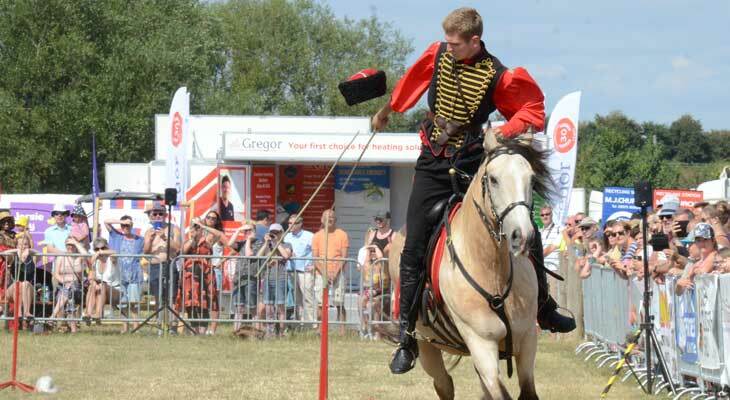 We have supported the South Gloucestershire Show since its inception in 2013 and are pleased to be back as sponsor for the Gregor Heating Main Arena at the show taking place this year on 3-4th August. With over 30,000 visitors to the show across two days, the event provides Gregor Heating with a great opportunity to be part of a fantastic, local community event just down the road in Westerleigh Park, Warmley, BS30. In providing home heating solutions to residents and businesses of Bristol and Bath for over 30 years, community is very much at the heart of the brand. “People choose Gregor Heating to install their boiler because of the customer service we provide”, explains managing director, Steve Gregor. “By installing over 3,000 boilers a year, people trust us to let us into their homes and advise them on the most energy efficient solutions to help keep their homes, warm and cosy. We have always considered that quite a privilege so anyway we can support events in the local community, like this show, is our way of giving something back. Our team will have ringside seats with our trailer located next to the main arena and (our now famous) giant deckchair on show. All visitors are invited to come and talk to our experts about the latest Home Smart Technology heating solutions and also have the opportunity to take part in the selfie competition to win £75 meal voucher. Come rain or shine (and, let’s face it, we never know what we will get until the day) the Gregor Heating trailer offers brilliant shelter and place to watch the shows in the arena. One of the Gregor team’s favourites is the amazing Stampede Stunt Company and of course the Ringside Little Nippers always draw in the crowds. So, whatever the line-up is for 2019, it’ s set to be another great year. See you there? © 2019 Gregor Heating, Electrical & Renewable Energy is the trading name of Steve Gregor Plumbing and Heating Limited.